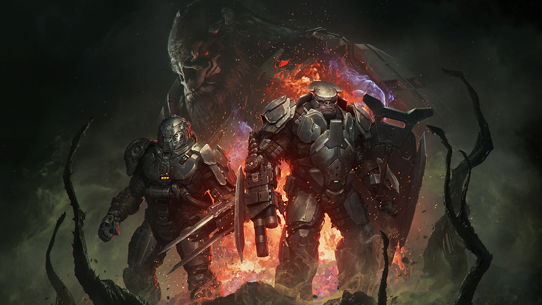 The next salvo of downloadable content for Halo Wars 2 has arrived, bringing two iconic figures from the Halo Wars series back to the forefront. 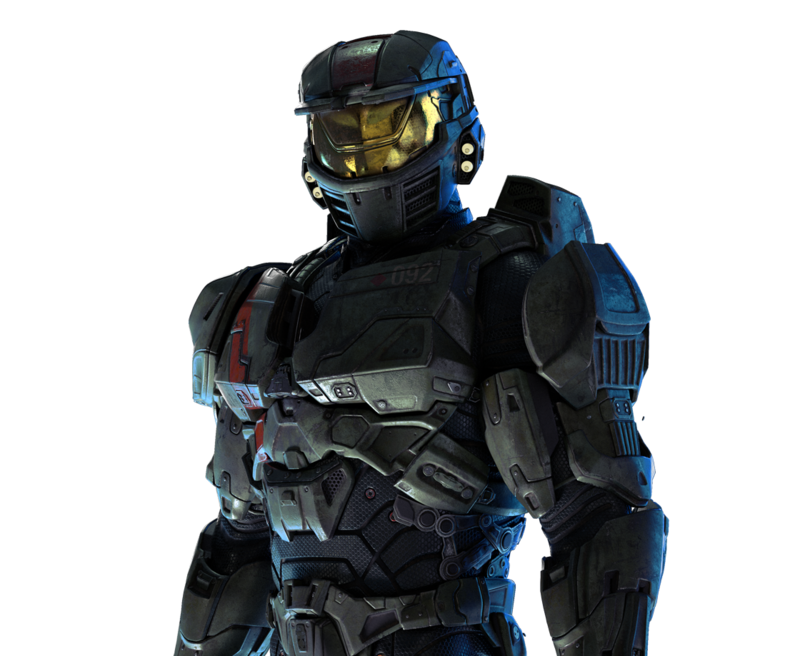 First up is Jerome-092, Spartan-II super soldier and leader of Red Team aboard the UNSC Spirit of Fire. Next is the deadly and merciless Arbiter Ripa ‘Moramee, who may not have survived his stint as the primary antagonist of the first game, but arrives in Halo Wars 2 with loads of resentment and zero Regret. Both new Leaders are available now for both Xbox One and Windows 10 PC as part of the Halo Wars 2 Season Pass, or available for individual purchase at $5.99 USD each. You can also purchase a special 2-pack version that includes both Leaders for $9.99 USD. 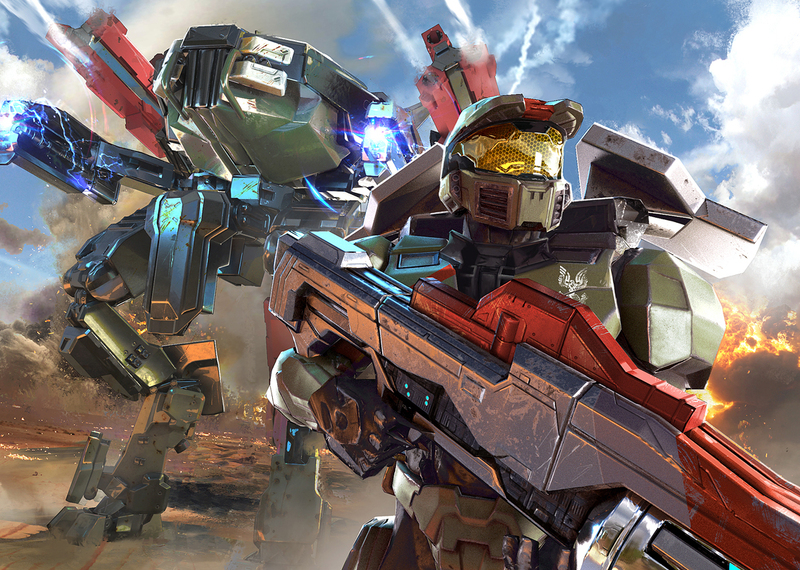 Read on for an overview of the new units and abilities each new Leader brings to the battlefield as well as an overview of broader balance changes coming to Halo Wars 2 with this latest update. With the authority granted to him as the ranking Navy and UEG official in a designated administrative region, Captain Cutter has conferred Jerome-092 the acting rank of Commander. The rank itself is a formality, but one insisted on by Isabel to better align the ship’s ad-hoc command structure with the letter of UNSC regulations. As force commander, Jerome-092 and select units in his army to Inspire the troops around them, increasing their health and damage. Once inspired they can be further buffed with abilities that trigger temporary acts of Heroism, which further augments their armor, damage output, and speed. His Victory Mine and Enduring Salvo abilities also Inspire nearby troops when they are activated. 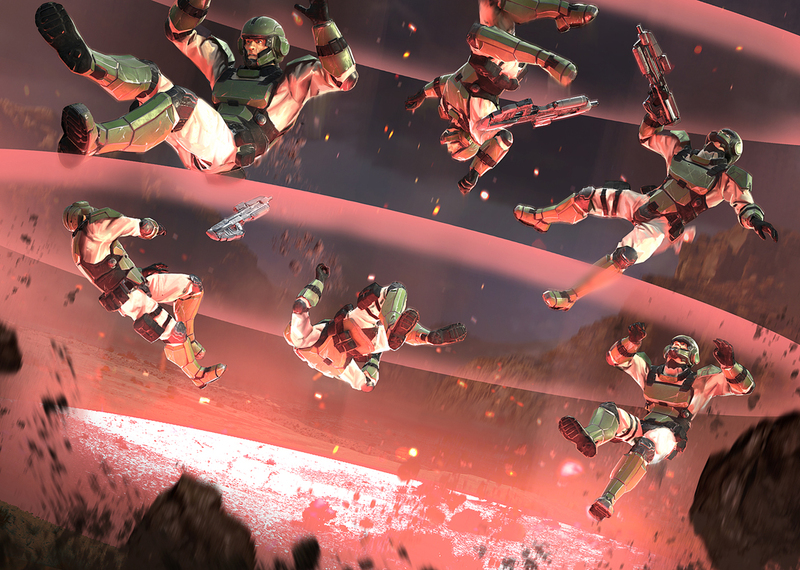 As the battle reaches the peak of ferocity he can call in his trump cards: the Spartans of Omega Team and the ability to conduct a Field Promotion, which calls in an elite kill team of Spartans and upgrades all units to the second level of veterancy, respectively. He can also activate Time For Heroes to Inspire his army and allow them to gain veterancy at a greatly-increased rate. 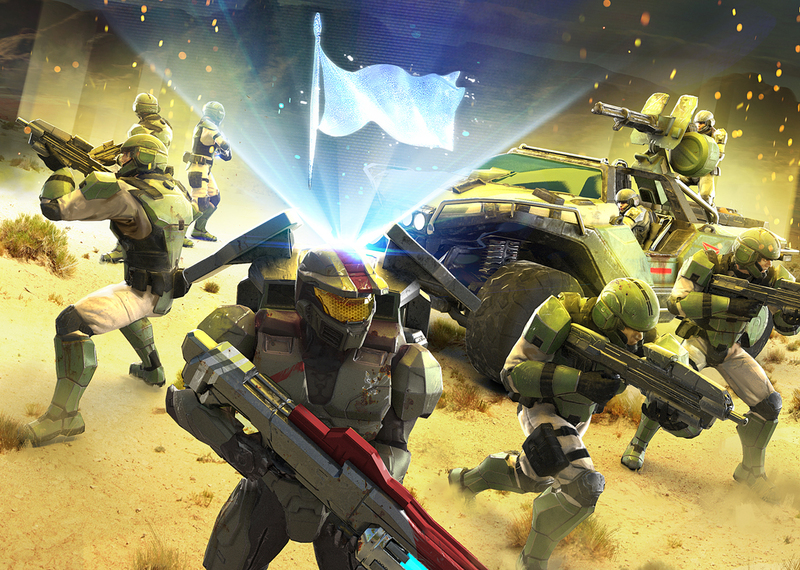 Commander Jerome has proven himself to be an inspirational and highly capable leader, though some aspects of his Spartan conditioning conflict with his strategic instincts. Among these is a preference for direct action. 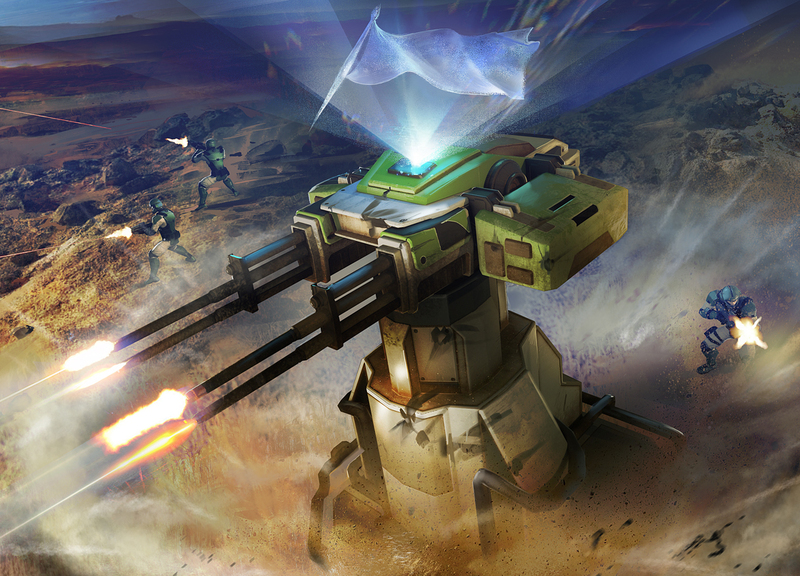 On the battlefield, Commander Jerome can Inspire nearby troops and take the fight to the enemy with a custom Hydra missile launcher, shrugging off attacks with his energy shield. 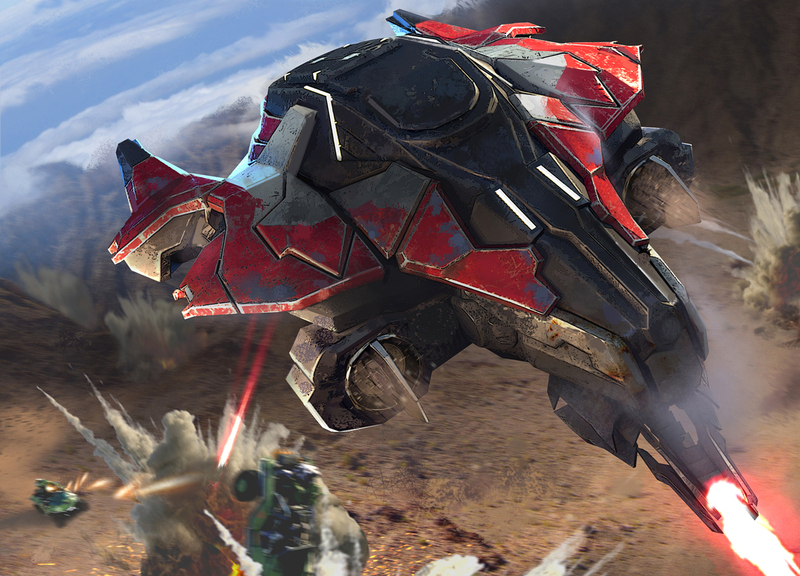 Commander Jerome cannot Hijack vehicles, but he can deploy his personal Command Mantis onto the battlefield with Mech Drop. Upgrades increase the radius of his Inspire ability and add a suppressing orbital barrage to the Mech Drop. 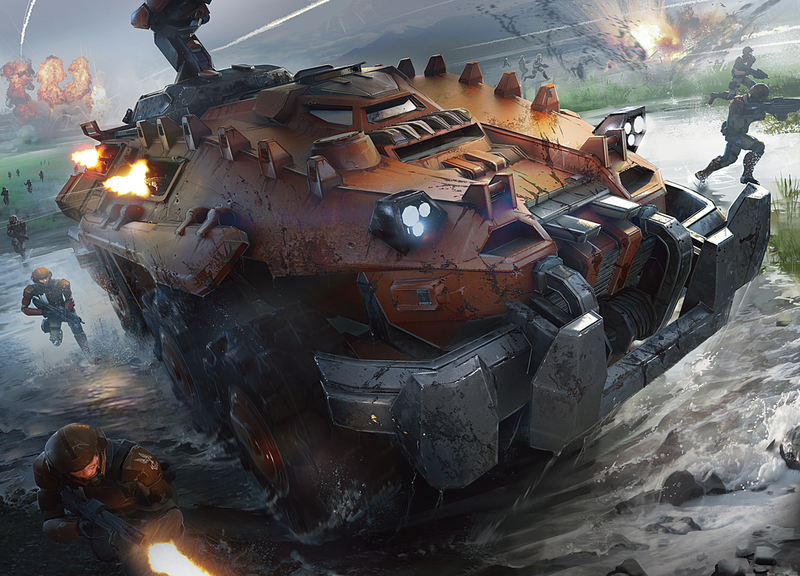 The Command Mantis is a hero vehicle deployed by Commander Jerome. It is an upgraded variant of the Mantis all-environment bipedal walker armed with twin high energy lasers and fitted with an advanced energy shield. The Mantis can operate in an unmanned combat mode or be piloted by Commander Jerome. When piloted by Commander Jerome the mech’s long-range missile launchers are also deployed, though these do have a minimum engagement distance. Jerome-092 is free to disembark at any time with the unload ability. The Command Mantis is tailored specifically for Jerome’s neural interface and cannot be Hijacked. Upgrades to Commander Jerome also affect the Command Mantis, and he continues to Inspire while operating the mech. Mastodons are heavy troop carriers available to Commander Jerome. Each is armed with a M41 machine gun in a remotely operated weapon station, but the vehicle’s primary offensive utility comes from the two units of infantry it can carry. Each of these units can engage the enemy using their weapons through the APC’s firing ports. The Mastodon can be upgraded to carry an additional infantry unit. If the Mastodon is destroyed the troops within will survive, but suffer heavy damage. Note that allied troops can also embark in a Mastodon. Omega Team is a Spartan special forces team available exclusively to Commander Jerome. Up to three members of Omega Team can be deployed in a single battle. Each activation brings one member of Omega Team onto the battlefield in a Pelican Gunship. Legendary soldiers in their own right, Omega Team members Inspire nearby units in addition to packing heavy weapons. Robert-025 is armed with a fast-firing Plasma Cannon, Leon-011 is fitted for close-quarters combat with a custom Energy Sword, and August-099 is a crack shot with her Railgun. 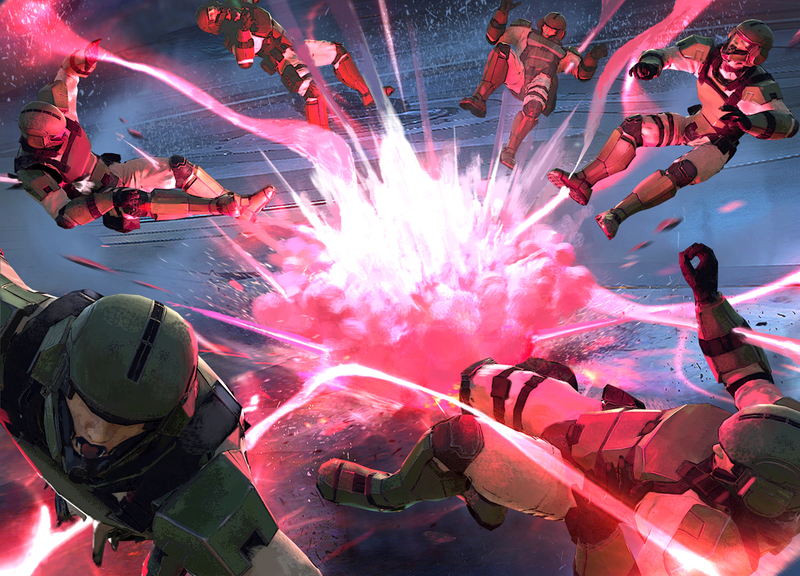 As Spartans, each member of Omega Team has energy shields and the ability to Hijack enemy vehicles. Enduring Salvo Drops pieces of lingering wreckage from the Enduring Conviction on the heads of your enemies. Overkill? Probably. Awesome? Definitely. Standard offensive leader power, with a twist – nearby friendlies receive a short-lived Inspire buff (wouldn’t you be inspired after seeing that?!). Victory Turret calls in a drop Turret that Inspires nearby troops. Spending an additional point allows you to drop two turrets. Spartan Morale is a super-charger for Inspired units. All Inspired units gain a stronger buff – gaining faster movement speed and high damage and armour for a short time. Recon Training: Increases the sight range of infantry and vehicles. Victory Mine: Standard mine, which also Inspires nearby friendlies upon detonation for a short time. Time for Heroes: When at low population (40 or under at level 1, 60 or under at level 2), units globally gain a speed boost and become permanently Inspired. The buff wears off if you go above the pop threshold. Time for Heroes is a unique ability, incentivizing you to try and stay at low population for as long as possible, playing a commando-style, utilising the speed and Inspire bonus. Because you’d rather not build as many units, you tend to bank a lot of cash too, which can pay-off later. Field Promotion: Any non-promoted units in the AoE are instantly promoted to veterancy level 1. Driven to control and dominate, with a nearly insatiable bloodlust and ambition, Ripa 'Moramee was considered a radical choice as Arbiter. 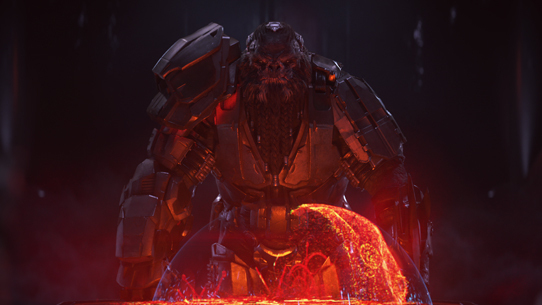 Ripa came to relish the nearly unchecked power and authority he wielded as an Arbiter, and his fearsome reputation was known by all—including a young Covenant warrior known as Atriox. Unbound by traditional notions of honor and loyalty, it is possible that Atriox could have convinced Ripa to join his cause, had Ripa survived events on Shield 0459. As a Banished warhost leader Ripa would inspire fear and awe in those in his dominion, reflected in the Conduit of Rage passive ability. 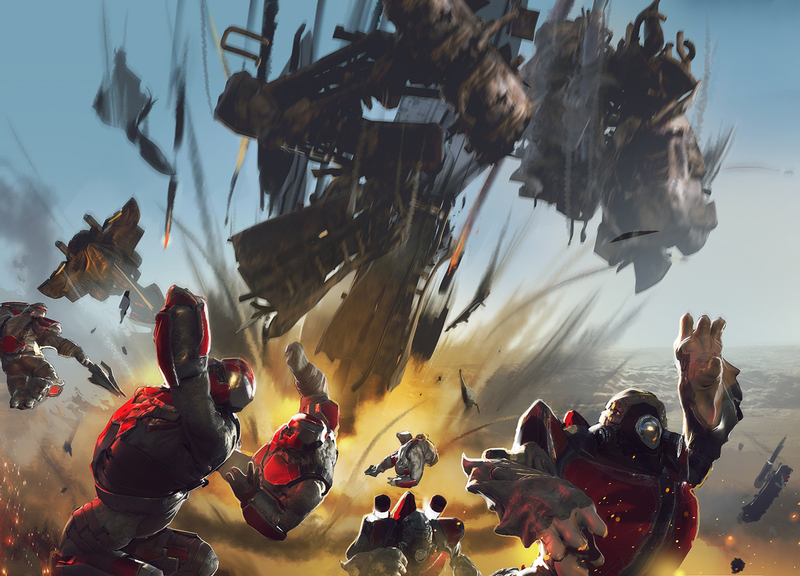 Conduit of Rage is triggered on the activation of leader powers, slightly healing the Arbiter’s nearby units and increasing their damage and speed for a short time. Continuing to use leader powers extends the duration. Ripa also had unrestricted access to experimental <b>Stasis</b> weapons, which immobilize units in their area of effect for a short time, in his role as Arbiter. Units in stasis cannot move or deal damage, but also cannot be harmed. Ripa used these weapons to delay enemy units and—on the rare occasion he was feeling generous—shield allies from harm. Though a talented strategist, Ripa prefers to make fights personal. On the battlefield Ripa wields his two relic blades with devastating skill and can trigger his Arbiter’s Rage ability to temporarily become a murderous avatar of war. 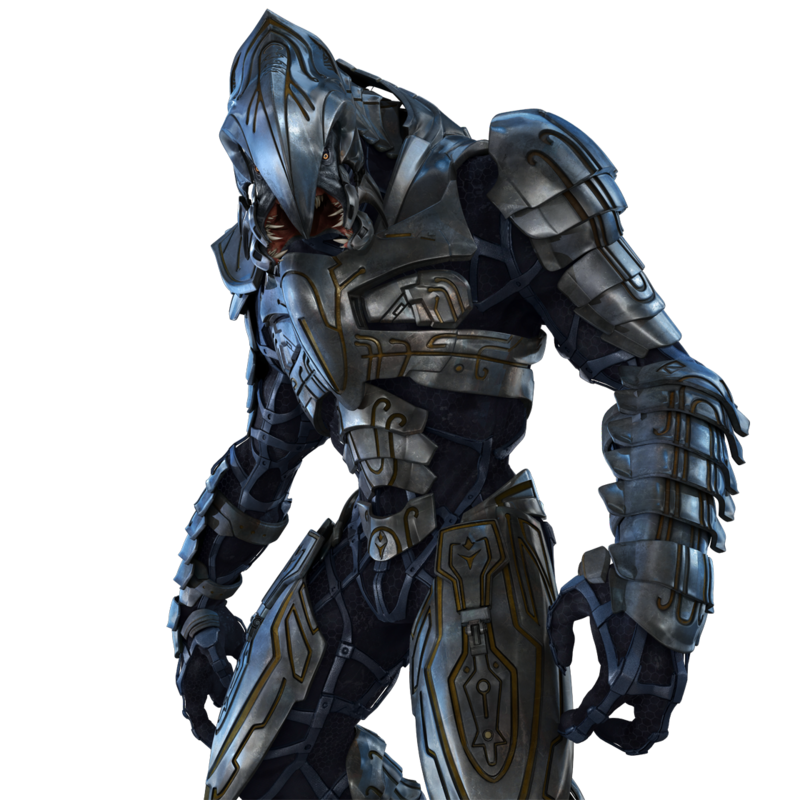 While Raging the Arbiter can leap to attack air units, moves faster, does significantly more damage, and leeches health from his victims. Upgrades include Swift Fury which increases his movement speed and damage, Conduit Incarnate which activates Conduit of Rage when the Arbiter kills an enemy while Raging, and Arbiter’s Reprisal which reflects damage back towards his attackers. 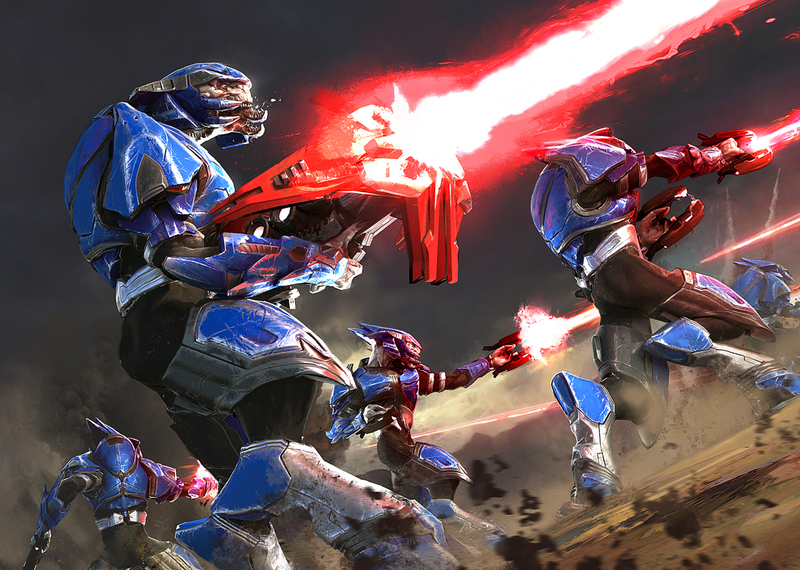 The Enforcers are fast-moving, battle-hardened Sangheili armed with plasma rifles, plasma casters, and plasma grenades which can be deployed by the Arbiter in place of Jump Pack Brutes. They excel in hit-and-run attacks where they can rush in to attack with their plasma weapons and then disengage to allow their energy shields to regenerate. They can also use their special Stasis Grenade ability to take targets they cannot effectively deal with out of action, and raid enemy bases to shut down production for a short time. 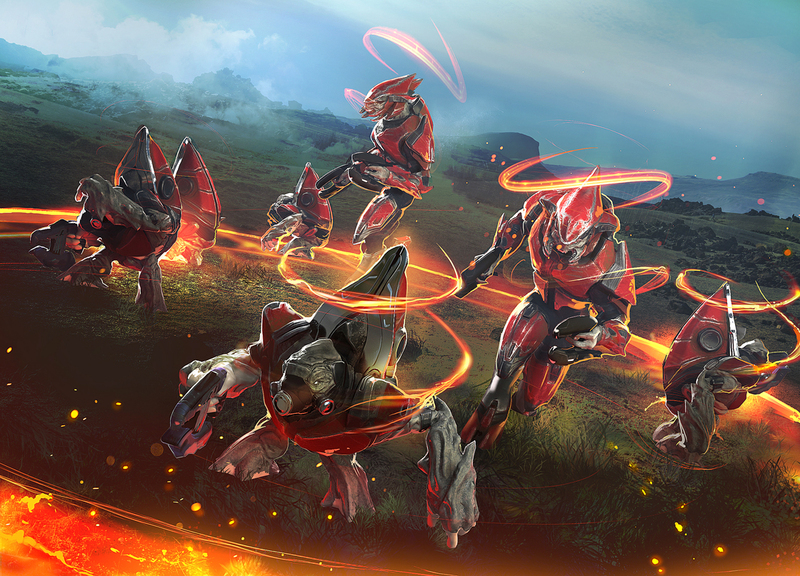 They can be upgraded with an Arbiter’s Champion to add an additional Sangheili warrior armed with a plasma caster. The Phantom is a fast, heavily armed aerial transport available to the Arbiter. It is armed with heavy plasma cannons for engaging enemy air and ground targets and can embark up to two infantry squads using its integral grav lift. These squads can fire from the Phantom, or be deployed at any time with the Eject ability. The Phantom’s speed can be increased with the Swift Wings upgrade. Note that infantry embarked in the Phantom are killed if their dropship is destroyed! Seals units inside a stasis field for a short period of time. Units in Stasis can’t move, attack or perform any actions, but are protected from harm, and can be healed. Stasis also protects friendly units, so think carefully about where you place it! Conduit of Rage is a Passive ability that triggers when you cast another leader power. Each time you cast another power, nearby friendlies are buffed with the Rage buff, which increases speed and damage, and causes those units to heal a little. Additional levels increase the radius and strength of the buff. Conduit of Rage stacks – the more leader powers you play the longer the duration. Plasma Bolt is a cheap, rapidly-reusable light offensive ability. As you sink more points into Plasma Bolt it gains the ability to multishot, allowing you to fire multiple rounds. Additionally, each round triggers Conduit of Rage separately, making it an excellent combo piece. Mass Cloaking: Where did everybody go?! Halo Wars 2’s latest DLC also brings along a handful of new Achievements to chase down – three per Leader for a total of six Achievements totaling an additional 60 Gamerscore. Included with this latest content for Halo Wars 2 is a collection of updates and bug fixes, all designed to improve player experience in a wide range of areas. Below is a quick overview on what players can expect to be addressed. For the full patch notes, head HERE! Maximum Camera scroll and fast-scroll speeds increased. The Icons of War pack is out NOW for both Xbox One and Windows 10 PC! Both Jerome-092 and Arbiter Ripa 'Moramee are available as part of the Halo Wars 2 Season Pass, or available for individual purchase at $5.99 USD each. You can also purchase a special 2-pack version that includes both Leaders for $9.99 USD. As a reminder - If you missed Sgt. Johnson, last month’s new content, you can read more about the cigar-chompin' badass RIGHT HERE. 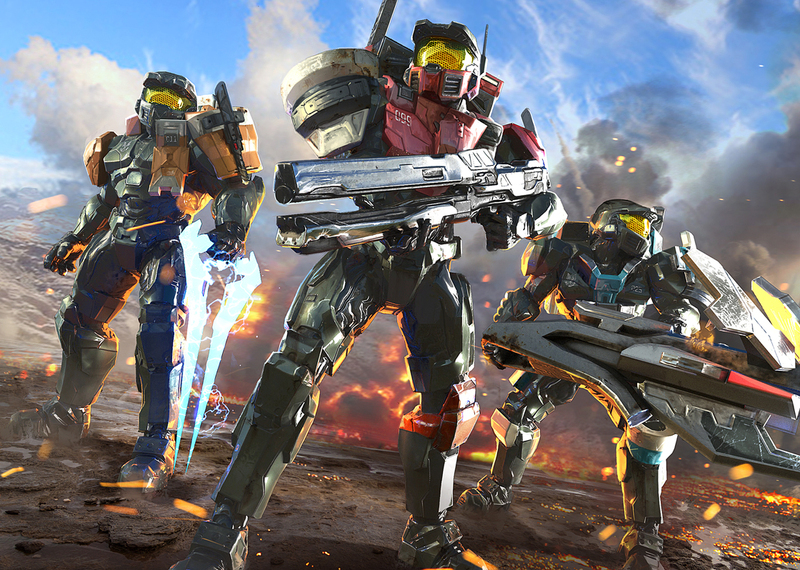 And don't forget, we've got more great content on the way for the Halo Wars 2 Season Pass, including two new campaign missions with Operation: SPEARBREAKER, and two more multiplayer Leaders still to come. Stay tuned! Follow @Halo and stay tuned to Halo Waypoint for the latest info and remember to stop by our forums to share your feedback with the Halo Wars 2 team. See you on the battlefield!